When the former Secretary of State is speaking to her soul mates, you hear in clear, straightforward English just how in touch she is with PPFA but how out-of-touch she is with the rest of America. Let’s repeal laws like the Hyde Amendment that make it nearly impossible, make it nearly impossible for low-income women, disproportionately women of color, to exercise their full reproductive rights. Never mind that overwhelmingly, the American people do not–do not–want their tax dollars paying for abortions. In an environment that is ever more receptive to the pro-life cause, this truism goes back to the earliest days. 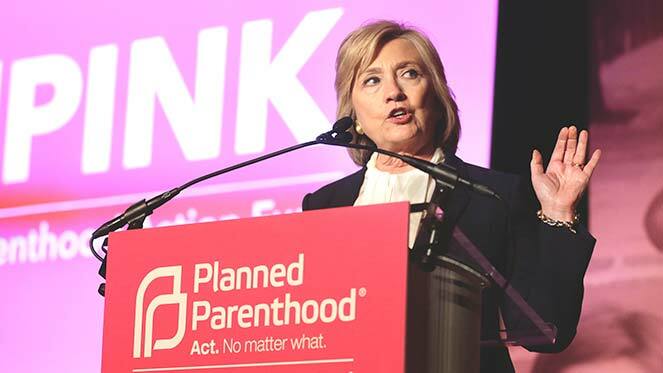 What is the real reason Clinton and Planned Parenthood want to gut the Hyde Amendment? Simple. By cutting off virtually all federal funding for abortion, unborn lives are saved each and every day.